It's been four painfully long years, but The Killers are back and they've got a full-length album to prove it. Their forthcoming effort, Battle Born, marks the end of the band's short-lived hiatus and is slated to drop September 18th. Don't worry, you won't have to salivate over the next two months waiting to get a taste of the new album either. You can hear the lead single "Runaway" right here. Although fans of the band haven't been short on music (as three of the members set out to work on side projects during their time off), knowing the band has regrouped certainly lends peace of mind. If Battle Born is anything like the band's previous releases, we're already hooked. 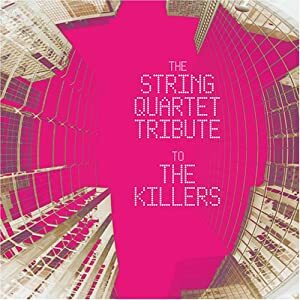 Be sure to check out The String Quartet Tribute to The Killers to heighten your excitement with triumphant string versions of "Mr. Brightside," "Somebody Told Me," "All These Things That I've Done," and more.